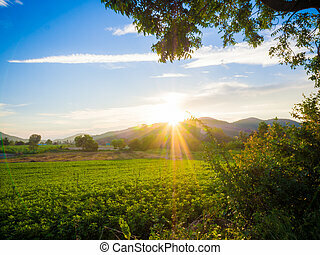 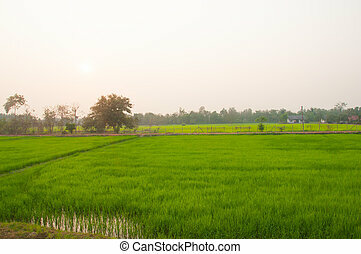 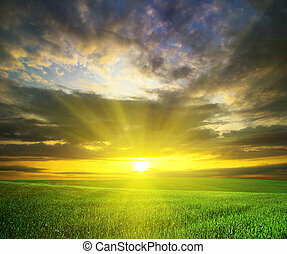 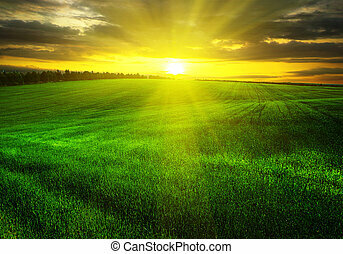 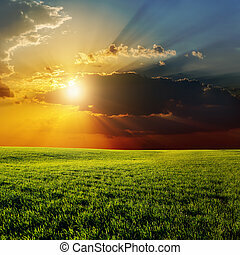 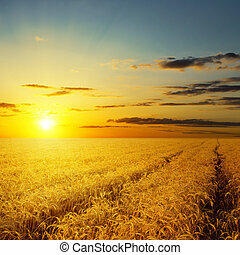 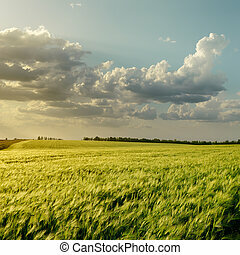 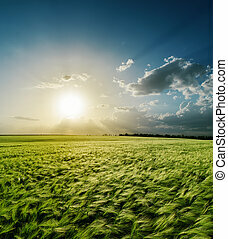 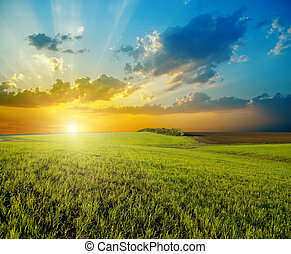 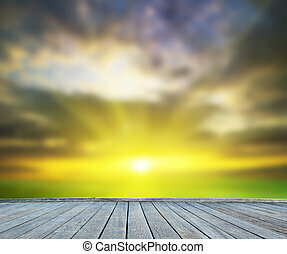 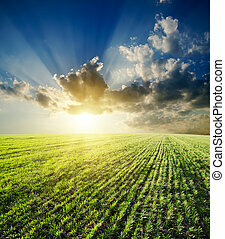 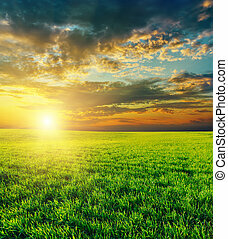 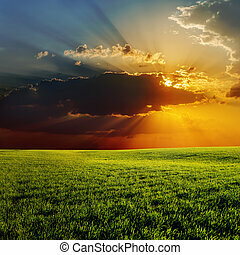 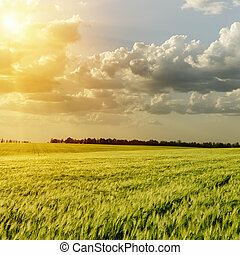 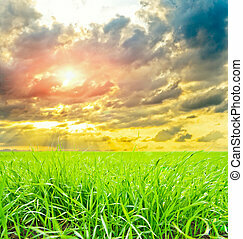 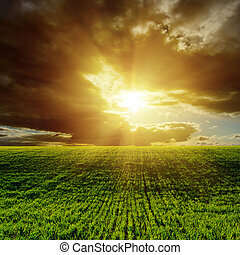 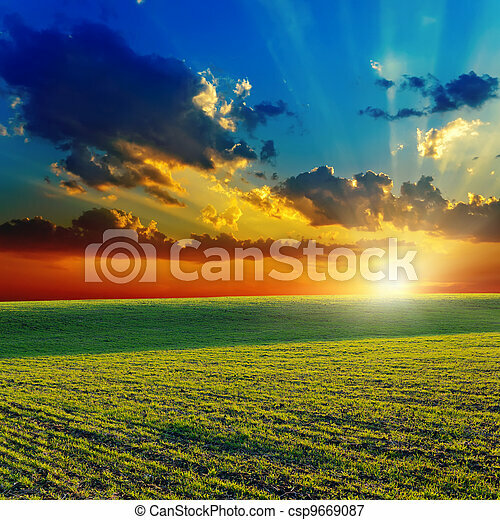 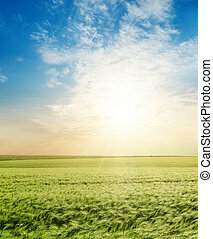 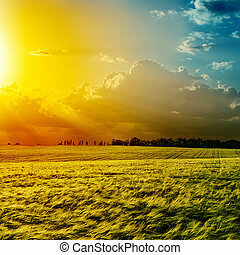 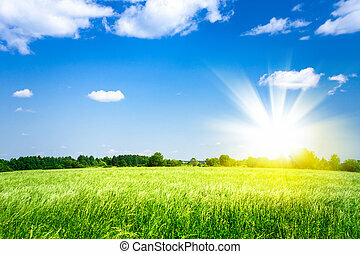 Sunset over agricultural green field. 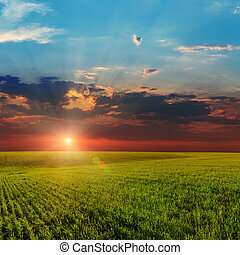 Sunset over agricultural green field. 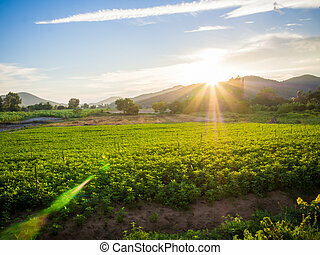 young shoots. 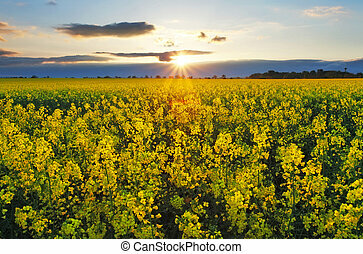 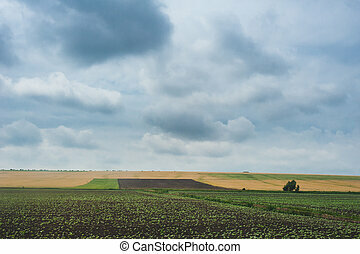 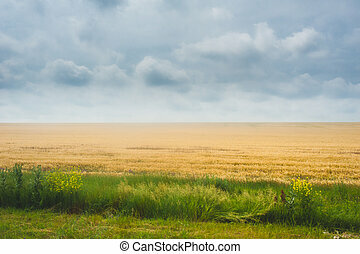 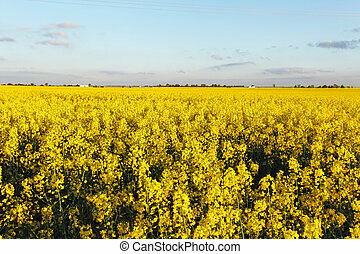 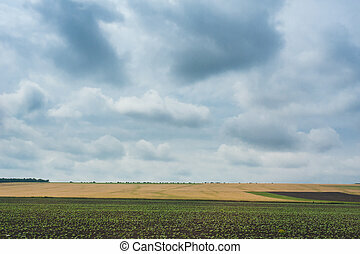 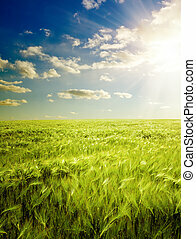 crop field. 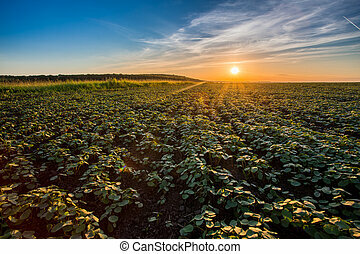 sunset over agricultural green field. 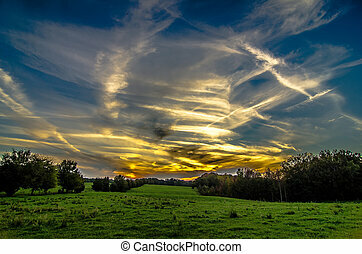 Dramatic sky and clouds.